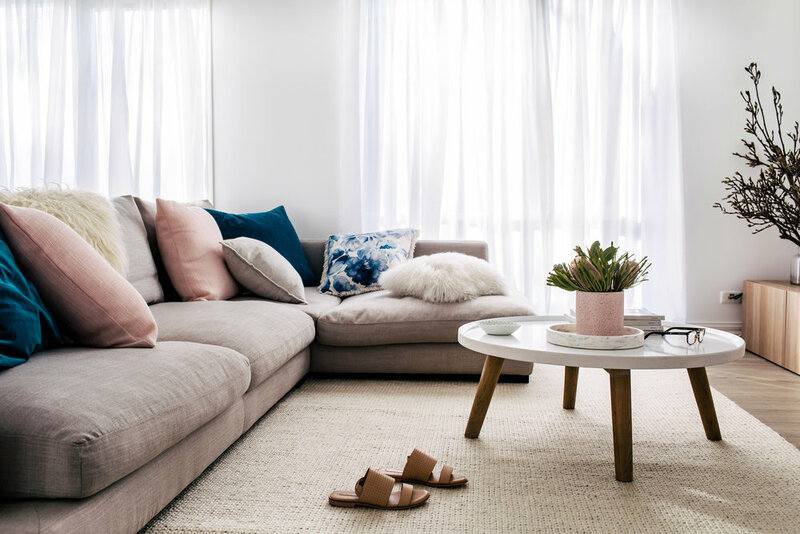 Smart renovation choices and a stellar eye for interior style have transformed this tired, Melbourne home into a crisp, cool oasis for Catherine and Lachlan Ryan, and their beloved pooch, Harvey. When Catherine and Lachlan Ryan bought their first house, it was far from perfect. “It was all shades of cream and yellow, had grey carpets, torn curtains and an overgrown garden – but it was seriously love at first sight,” explains Catherine. Less than a year on, it’s hard to believe this is the same place. Now, when you walk through the front door, you pass dreamy bedrooms boasting casually luxurious bedding and statement light fittings, before the space opens into an elegant kitchen, dining and lounge area. The couple began the facelift of their Point Cook home by repainting it inside and out, and replacing the flooring. Then, they landscaped the back garden, installed new appliances and air conditioning, and updated the light switches and fixtures. 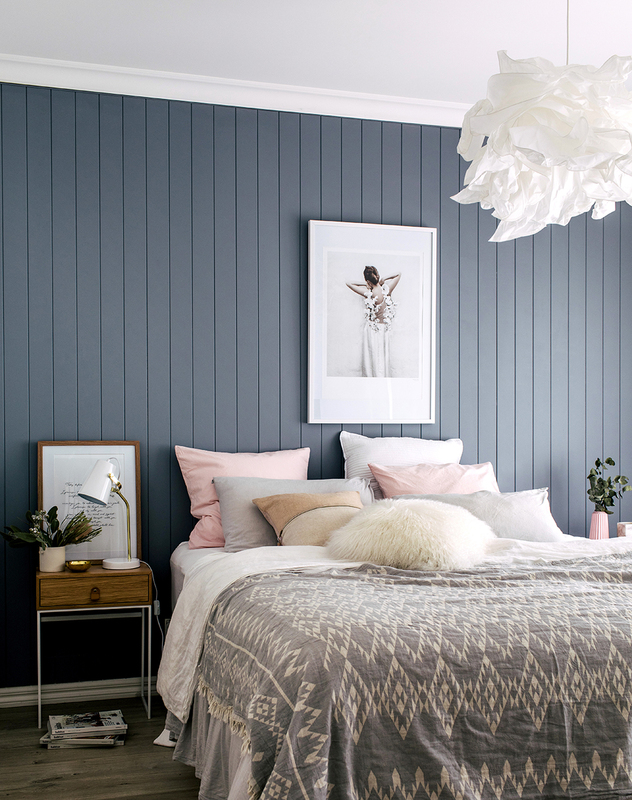 For Catherine and Lachlan (“two old souls who just love being at home, pottering around with our golden retriever”), the trick has been to avoid overspending while creating a home they love. 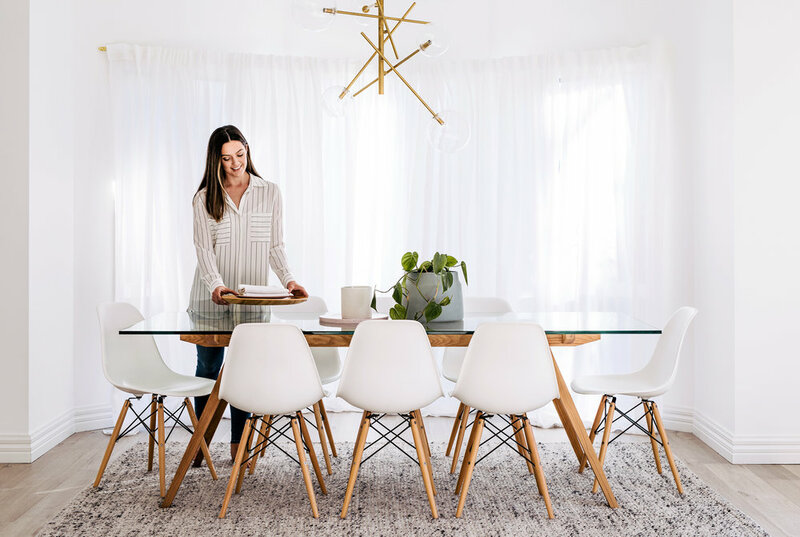 Having used most of their budget on the major renovations, they were savvy about furnishing the house (Catherine recommends signing up to email lists and then waiting for sales to purchase coveted, quality pieces). “Creating that high-end look I love – without the high-end price tag – has been about compromise and research, and a lot of DIY weekends!” Catherine laughs. Want to see this home in print? 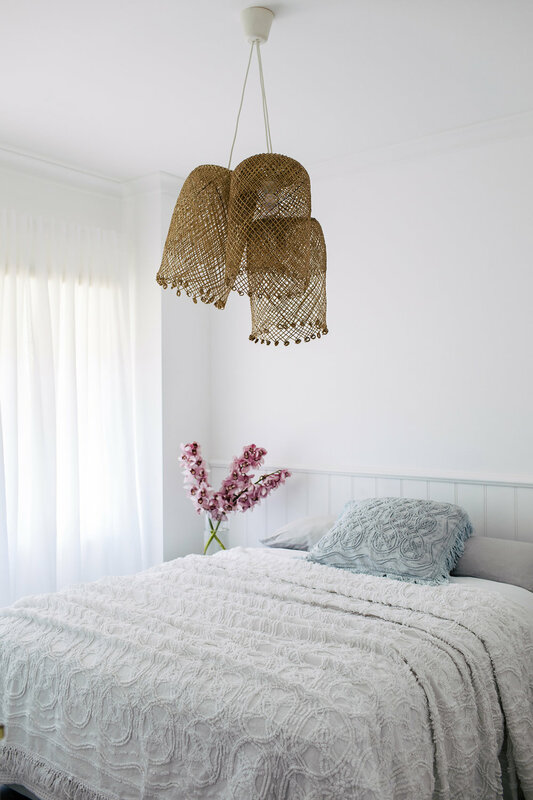 You’ll find the full home tour in our Bliss edition, available in newsagents in Australia and through our online shop. Click here to buy.